General History, Math, English, Writing, Sciences, and More! 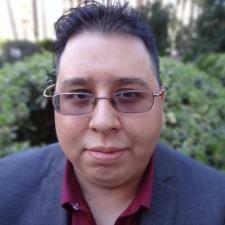 I am Alan D. and I currently reside in Brawley, California in Imperial County. I graduated from a university and I will offer my tutoring services to any student who requests it in the Imperial Valley. I currently hold a Bachelor of Arts in History from UCLA, and I am currently seeking my teaching credentials. For my history studies, I am well educated on the subjects of Ancient History, specifically Ancient Greek and Roman history, and Modern History from the beginning of the American colonies to the current time. In addition, I was a Political Science minor in college and I am well versed in American politics and political philosophy. As for other subjects, I know the basics of chemistry and astronomy. In addition, I have also completed several English writing courses. I am able to assist students with their English and history essays and other types of essays for any classes they have! I proofread, critique, and revise with the students on any type of essays. Finally, mathematics is also a strong subject for me as I have taken college mathematics courses up to 2-variable calculus. I am looking forward to helping my students.